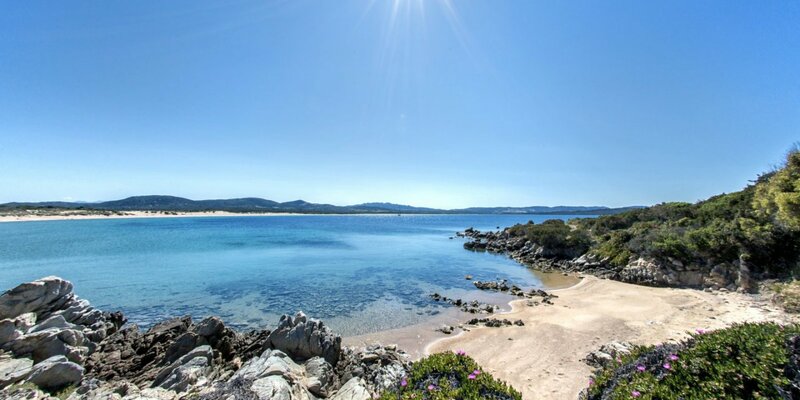 Even the ferries to and from Sardinia in May have lower costs, and for our customers we provide super discounted rates and special offers to travel comfortably to northern Sardinia. Contact us for information about our ferry vouchers and special prices that we have thought for you! May is a wonderful time to visit Sardinia, because the days are getting longer, the maximum temperatures are rising and nature is in the full splendor of spring. And remember to bring your costume, our beach and the coves of the peninsula of Isuledda are waiting for you! During the bridge of May 1 in Sardinia and throughout the month you will be spoilt for choice on the activities to do in this corner of paradise: you can organize excursions (on foot, by bike or on horseback), sunbathe on the beach or try one of the water sports practicable in the bay of Porto Pollo, a few meters from our Holiday Village. With our special offer for May you can enjoy a 15% discount on the rental of windsurfing equipment or the promotion that gives you 2 hours of free canoeing. Don't forget to taste our typical cuisine with traditional Sardinian dishes: thanks to this special offer for the month of May you will also have a 10% discount on half board in the restaurant of the Village. What are you waiting for? Hurry up and book your holiday on the Village Isola dei Gabbiani at the lowest price! PIG - First of May in Gallura: Wine and food and music festival that animates the towns of northern Sardinia and in particular Santa Teresa di Gallura, a few kilometers from our Village. You can taste the delicious traditional Sardinian dishes and have fun with your children with artistic shows in the square and great music.